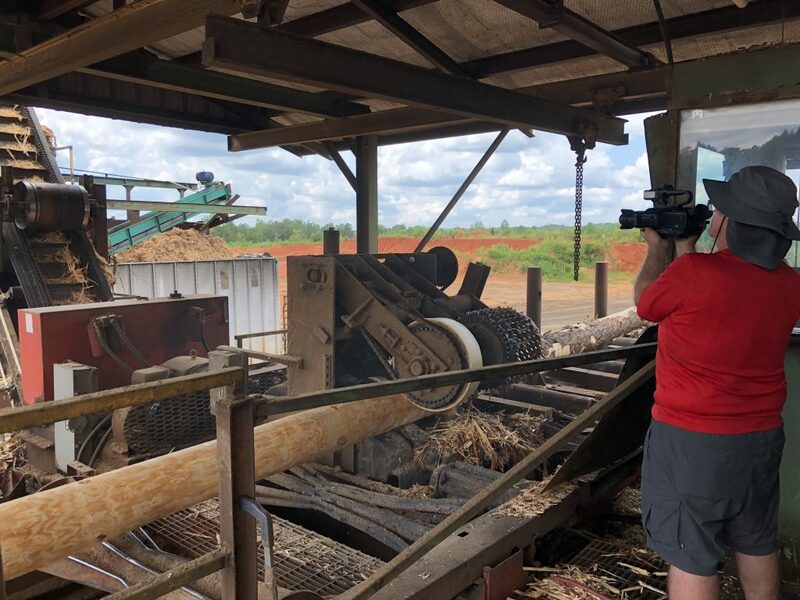 As part of Alabama Public Television’s ongoing “Spotlight on Agriculture” documentary series, the network is producing three episodes focused on Auburn University’s forestry, wildlife and natural resources research and the industry’s importance to the state. 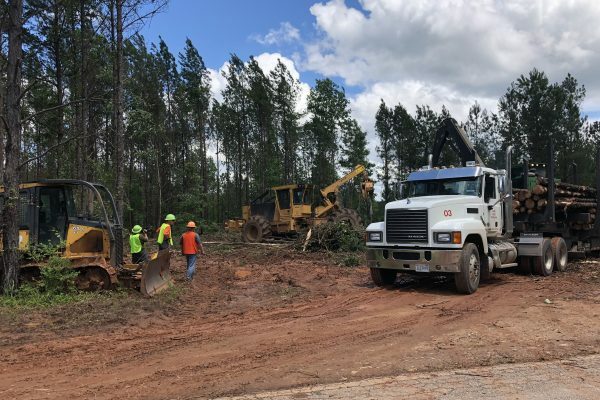 The episodes will air in the first three quarters of 2019, with the first episode on “Forestry” scheduled to air Monday, Feb. 18, at 8 p.m. CST. 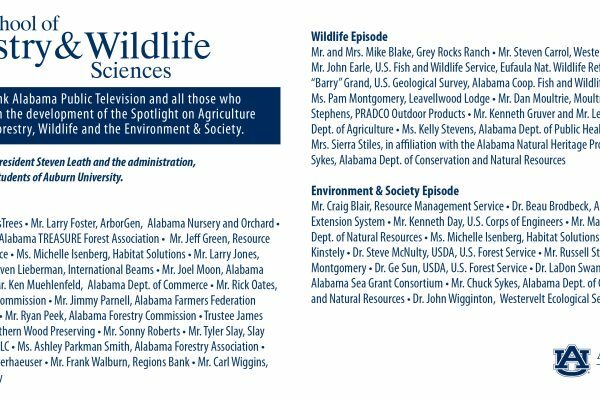 To celebrate the launch of the three-part segment of the series, Auburn’s School of Forestry and Wildlife Sciences will host a public screening and reception for the premiere of the “Forestry” episode. 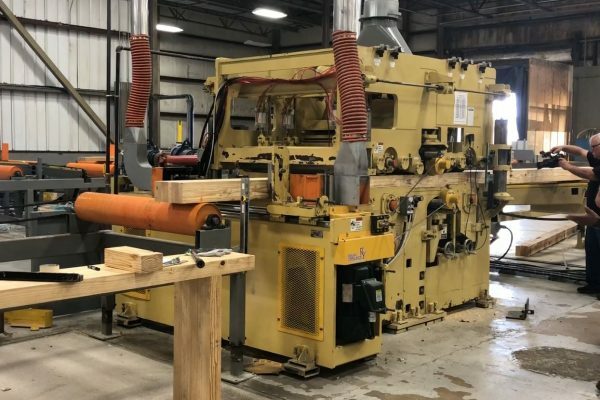 The campus-wide screening will be held at the school, located at 602 Duncan Drive, in Conference Hall, room 1101, at 3:30 p.m. CST on Wednesday, Feb. 13. The screening is free and open to the public. 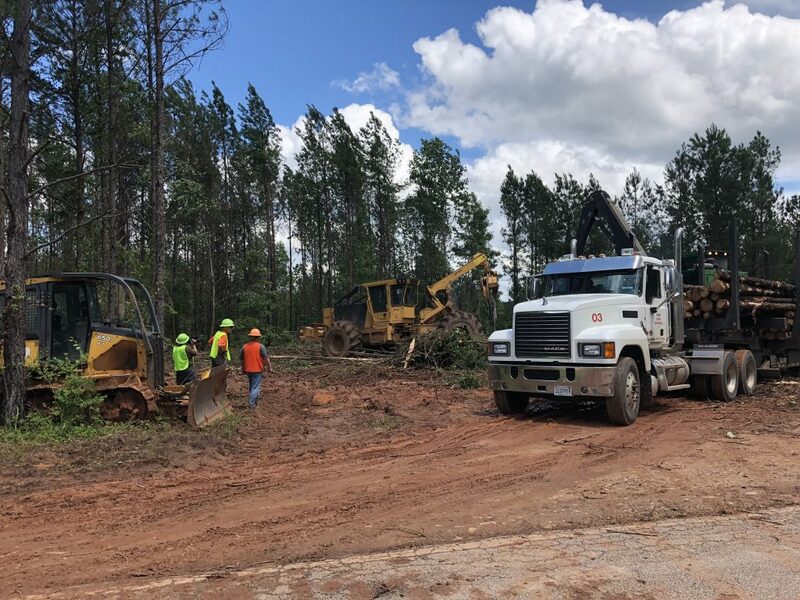 The episode trilogy will highlight the importance of forests, wildlife and natural resources to the state’s economy and quality of life. 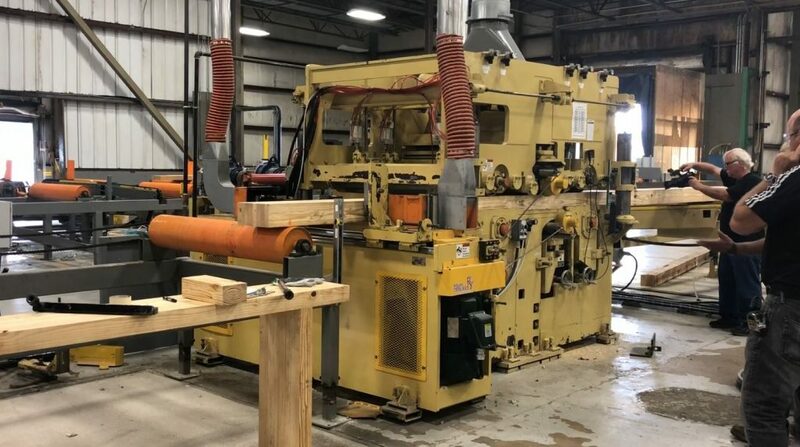 “These programs will help Alabamians to better understand the value of our state’s abundant natural resources and the innovative research being done at Auburn to assure we manage those resources for the wellbeing and enjoyment of future generations,” said Roy Clem, executive director of Alabama Public Television. 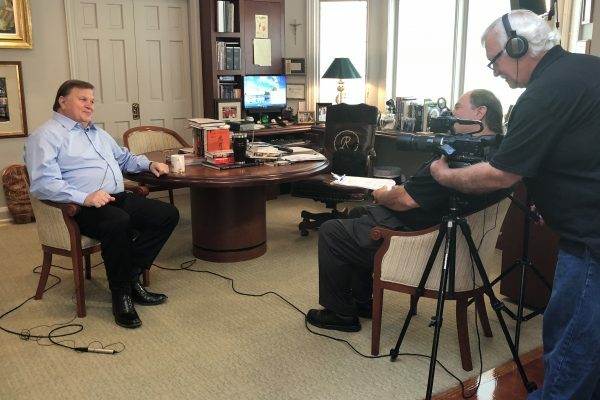 Through interviews with landowners, business, government and industry representatives, the documentary series will showcase how Auburn University’s research and Extension programs serve to convey science-based information to sustainably manage those resources for the future. 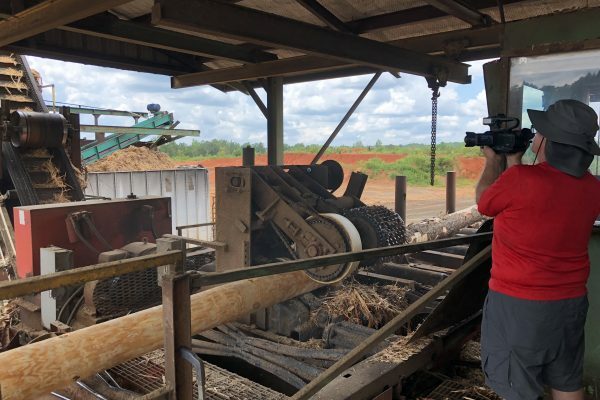 During the “Forestry” episode, viewers will learn how Auburn’s research is improving timber harvesting and forestry operations, developing sustainable products from forest biomass and discovering solutions to many of today’s most critical challenges facing wildlife and natural landscapes. 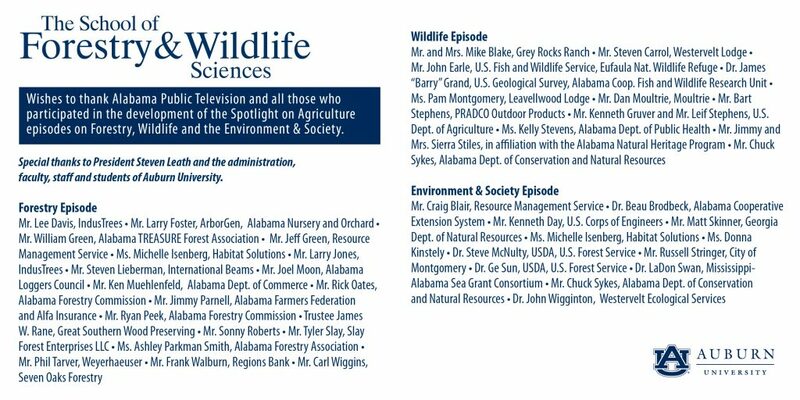 The “Wildlife” episode, to air in the second quarter of the year, will examine Auburn’s wildlife research and partnerships with landowners, agencies and other stakeholders to aid the development of policies that will assure healthy and sustainable game and non-game wildlife populations and their habitats. 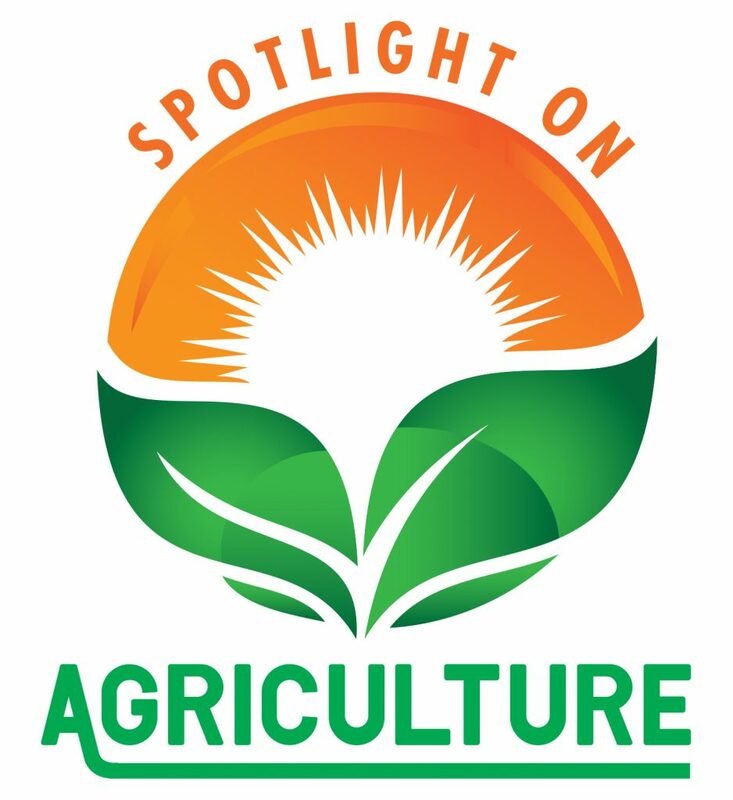 The episode will also discuss the complex relationships between land use, climate change and population growth that alter the health-related interactions among people, animals and the environment that contribute to the presence of diseases such as rabies, Lyme disease and the West Nile and Zika viruses. 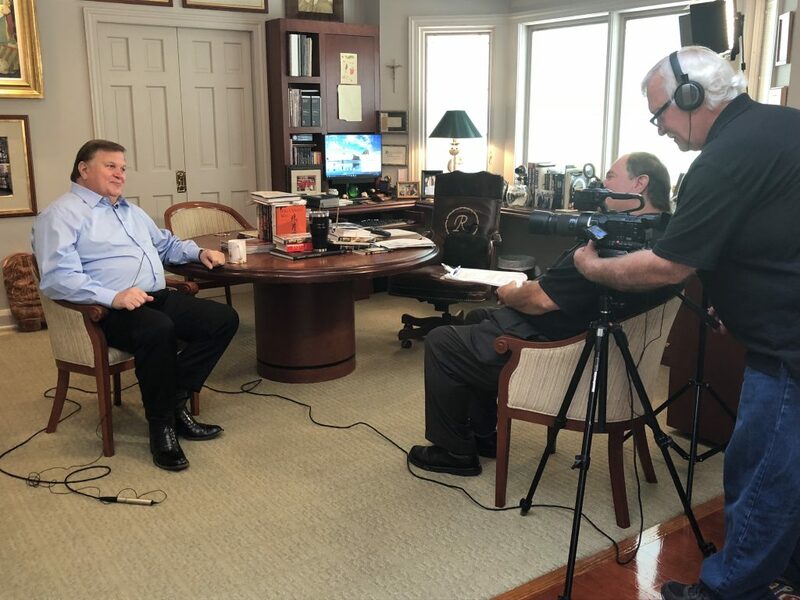 Finally, the episode on “Environment and Society,” to air in the third quarter of 2019, will discuss Auburn’s research to examine the relationships between humans and the environment as they relate to economics, policies and other organizational aspects of society. 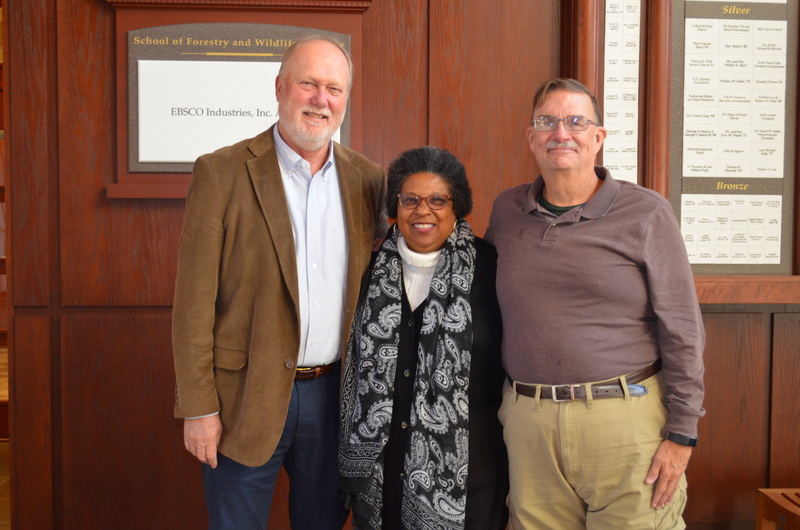 “We are grateful to Alabama Public Television and the many organizations who participated in the series to showcase the collaborative research partnership between academia, industry and government,” said Janaki Alavalapati, dean of the School of Forestry and Wildlife Sciences.